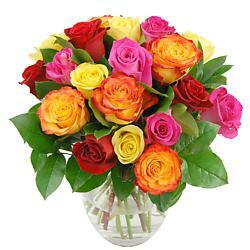 Our florists love making bouquets and arrangements for UK flower delivery, and we can send flowers to Glasgow for you. We have a wide range of Roses, Freesia flower bouquets, and Lilies, as well as Classic Bouquets and our Colourful flower Bouquets, and our range of Flowers under £21.00. Our home page provides more information on our extensive range of next-day flower delivery services, all of which are available for next day UK flower delivery to Glasgow, Or indeed anywhere in the UK! 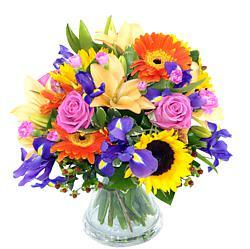 When you're thinking of a gift to give on birthdays, anniversaries, Mother's Day, Valentine's Day and other occasions, why not send flowers to Glasgow? 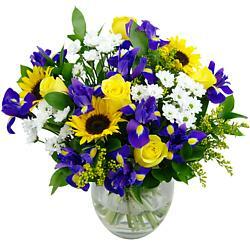 Through us, you can choose from a variety of bouquets to those close to your heart. 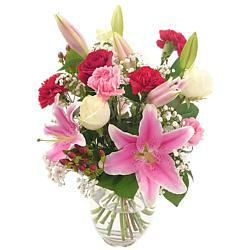 We also offer next-day delivery service in case you want your blooms to arrive right on schedule. 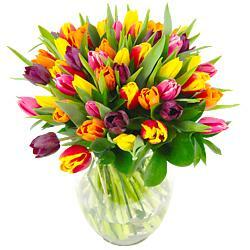 So if you want flowers delivered on special occasions, make sure to order flowers for delivery to Glasgow. Best of all, our seven day freshness guarantee means you can rest assured knowing your special someone will enjoy their flowers for days after delivery. 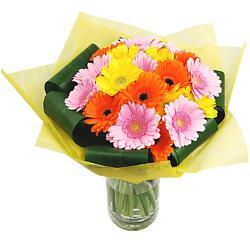 If you need to send flowers to Glasgow for delivery today, we have a range of flowers on our Same Day Flowers page. Glasgow is the largest city in Scotland and the third most populous in the UK. The city of Glasgow is situated on the river Clyde in Scotland?s West Central Lowlands. The name Glasgow is derived from the older Cumbric glas cau or a Middle Gaelic cognate, which would have meant green hollow. From the 18th century the city of Glasgow grew as one of Britain?s main hubs for transatlantic trade with North America and the West Indies and with the industrial Revolution it became a city synonymous with heavy engineering and ship building. In 1988 Glasgow held the famous Glasgow Garden Festival and in 1990 it was recognised as a European City of Culture. Glasgow has many festivals and events throughout the year of which The West End Festival is one of Glasgow's largest festivals and is held annually in June. In 2014 Glasgow will be proudly holding the 20th Commonwealth Games. Glasgow has over 90 public parks and gardens within the City boundaries and their diversity means you'll always find something to do. The Nation Association of Flower Arrangement Societies (NAFAS) has a flower arranging club in Glasgow. 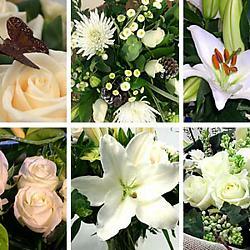 Flower delivery information for Glasgow. 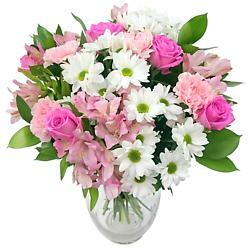 Our flowers delivery services in Glasgow are usually made by DPD or Royal Mail Special Delivery. 99.9% of our flowers are delivered by 5pm on the requested day - (more commonly before noon), except UK Public Holidays. We also offer a range of next-day flower delivery options in Glasgow - specific information is available during checkout. At appropriate times of year we can also deliver Valentine's Day flowers, Easter Flowers, Mother's Day flowers, and Christmas Flowers to Glasgow. There is no small print! When you order flowers for delivery in Glasgow with Clare Florist, that's exactly what you get - flowers delivered in Glasgow, without any fuss.